On Wednesday 6 April 2016, members of the Board of Habinteg Housing Association (Ulster) Ltd paid tribute to David Duly OBE, who retired from the organisation on 31 March following 33 years continuous service as Director and Chief Executive. At the third in a series of coordinated retirement events, Habinteg Chair, Mike Smyth (the sixth Chair of David’s tenure), led the accolades and made a presentation from the Board over lunch at the Old Inn, Crawfordsburn. At earlier reception events in Holywood and Derry, current and former staff members and key personnel from across the housing sector had similarly paid tribute. David’s departure from Habinteg truly marks the end of an era. 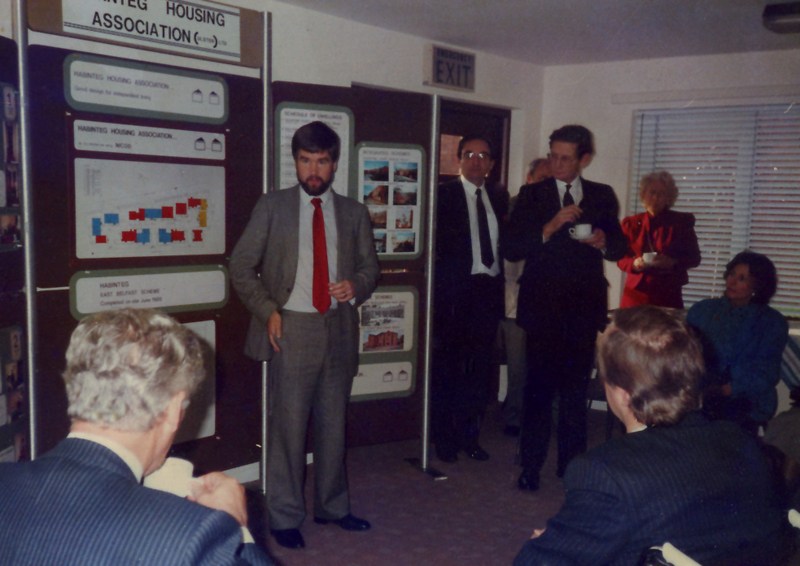 He joined the Association in 1983 when the fledgling organisation’s completed housing stock stood at one scheme of 14 properties. He tirelessly championed the themes of inclusion and quality in providing ‘homes for all’, and personally oversaw the exponential growth of the Association for more than three decades. His vision and commitment propelled Habinteg to its present position as one of the leading providers of social and specialised housing in the region, with over 2000 units of housing at over 100 locations right across Northern Ireland. Integral to Habinteg’s success and continuity, David has played the leading role in the Association’s achievements for over a third of a century. A string of regional and national awards have been attained through an adherence to the principles of providing good quality integrated housing and collaborative supported housing initiatives. Habinteg holds Customer Service Excellence (formerly Chartermark) status with an impressive eleven areas of Best Practice and Silver accreditation with Investors in People. The Association completed Northern Ireland’s first and second Excellent Eco-Homes developments - in Holywood and Belfast - and the first Shared Future scheme in the North West - in Sion Mills. A commitment to accessible housing has seen the Association champion Lifetime homes and inclusion as standard and has led the way in barrier free developments. David’s steering of Habinteg has been all the more impressive for the multitasking with which it has been accomplished. Married to Ellie and with two adult boys, Christopher and Owen, he has a decades long association with the Cedar Foundation (serving on their Executive Committee, Finance and General Purposes Committee) and also with the Northern Ireland Federation of Housing Associations; and retains Board membership of both along with that of Habinteg Ireland. He is fellow of the Chartered Institute of Housing and Royal Institution of Chartered Surveyors and Past Chairman of RICS NI. Outside the sector, past President of the Holywood Chamber of Commerce and member of the Bangor and Holywood Town Centre Management - civic honours he holds dear in the town where Habinteg has its base. 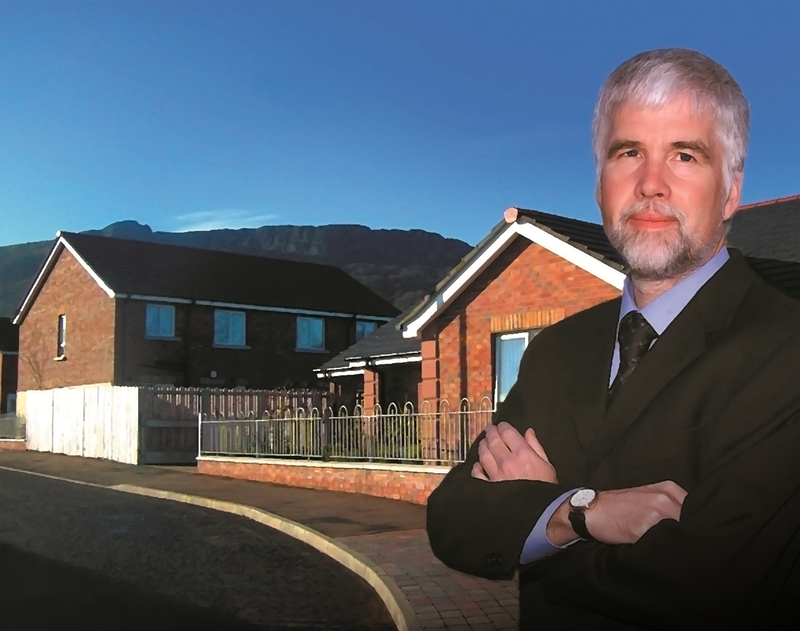 Fittingly, David was awarded OBE in 2004 for services to housing in Northern Ireland.